Juventus midfielder Miralem Pjanic reportedly shuns Chelsea as they appear to be interested in signing the player. According to claims from Italian outlet Calciomercato.com (h/t insidefutbol), the 28-year old midfielder seems reluctant to join the Blues as he has made it clear that he is presently happy at Juventus. Pjanic who started playing for Juventus in June 2016 was regarded as the most promising young midfielder of his generation and he earned a title to his name as he was included in the 100 best young players in the world in 2010. The Bosnian star who recently stated that he is indifferent towards the speculations making rounds concerning his future in the club this summer appears to have made a stand. Chelsea on the other hand have been interested in signing Pjanic as coach Maurizio Sarri is hoping to use him as a replacement for N’GoloKante when he exits Chelsea but that doesn’t seem to be happening as Pjanic isn’t interested in a move to West London. 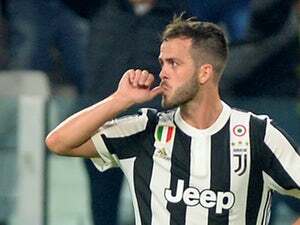 However, Pjanic agent has indicated that the midfielder isn’t planning to leave Juventus but if a good offer is tendered, a possible transfer might be forthcoming. Although, Pjanic doesn’t have any open deal presently but it is speculated that Premier League champions Manchester City might open negotiations for him this summer. Meanwhile, it is rumoured that Juventus might open talks for Pjanic’s future if an offer within the range of 100million is made.